This book was sent to me for review consideration by the publisher, Tarcher Perigree. This post contains Amazon affiliate links. If you click on one of them and make a purchase, I might make a tiny commission. 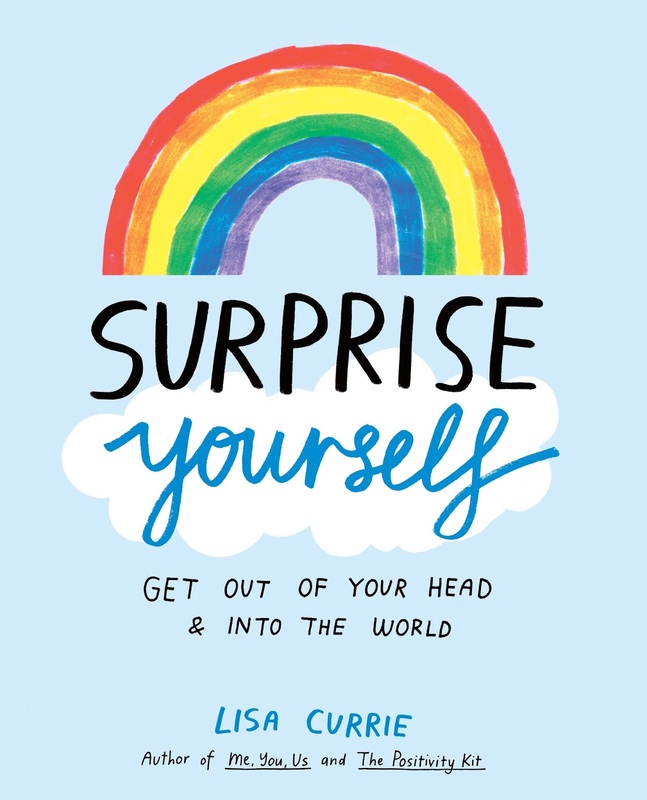 Surprise Yourself is a life workbook designed, in its own words, to be both "an adventure guide and a comfort blanket." I think it fulfills that purpose quite well! I really love the idea of having a journal like this that requires you to be both introspective, but also gives you opportunities to push yourself outside of your comfort zone and do some fun things. There are a lot of different topics covered from exploring the world that is already deeply familiar to you, to creating your own works of art, interviewing people who are different than you and more! There are also checklists included so that you can keep track of the different parts of the book as you do them. It's not necessary to do the book in order, you can pick and choose which parts you want to do at which time. I really like the idea of this book because it can also serve as record for yourself. The ideas to push you out of your comfort zone are fun and seem designed to really make you a better more thoughtful and empathetic person. They can even lead to new friends! And the tasks about yourself also seem fun and like they will cause you to really think about yourself and why certain things are the way they are. I think books like this are great because sometimes we need to be forced to slow down and look at things differently and really consider the people around us and also why we feel and think the way we do. 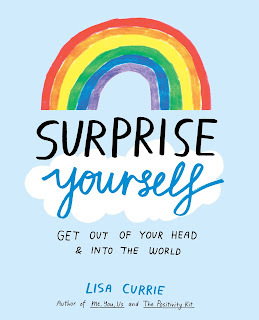 But Surprise Yourself makes all of that fun and accessible and easy and possible for anyone. For example, there is an activity that asks you to focus on some traits you notice about your co-worker. I think this is great for really becoming a more thoughtful person. A lot of times we do notice things about people without really reflecting on them. There is also an activity to host a themed dinner party. This resonated with me because it's the sort of thing that always seems like it would be fun to do but I haven't. But making it a goal to finish the activities in this book makes it more likely.